Are you looking for the best tips for SEO content writing? Do you want to know how to write SEO content articles that rank really well in Google search? Creating blog posts to impress both search engines and people is an art. In this detailed post, you’ll discover how to create such content that performs well. SEO content writing: How to write SEO friendly articles in 2019? There’s a huge difference between normal content writing and SEO content writing. SEO content writing involves in creating content that is optimized well both for search engines and your target audience whereas normal content writing is written only for people. Well it may sound like a good deal of writing your content only for people but if you really want to make sure your content ranks in Google, then you can’t ignore optimizing your content for search engines. The MAJOR difference between content that ranks well and the content that barely gets any traffic is “SEO content writing”. So if you’re someone who’s struggling to increase search engine traffic, focus on improving your SEO content writing and you’ll definitely see positive results after a few months. Are you curious to learn about how to write SEO friendly contents that ranks on top of Google search in 2019 and beyond? Let’s get started then. First things first, search engines like Google needs to know what your content is about. If you’re simply creating content without targeting any specific keywords, you’re not going to get any kind of search traffic. It’s as simple as that. You can’t write SEO friendly articles without doing keyword research first. The key to getting more search traffic is to find and use high search intent and low competitive keywords. If you’re wondering about the importance of keyword research, here are some of the biggest reasons for finding better keywords before you start writing content. Here at Bloggers Passion, we always come up with a list of highly profitable yet low competition keywords before we start working on any new blog post. We often focus on finding long tail keywords instead of short tail keywords because we know the importance of long tail keyword research to increase traffic. Have a look at the following illustration for better understanding. You can see from the above image, long tail keywords are easier to rank for and they produce high conversion rates. To find the above things and do proper keyword research, you need a tool like SEMrush. We already have written a tutorial on using SEMrush for finding keywords, make sure to check it out. That being said, focus on the following essential things while doing keyword research so you can do better SEO content writing that ranks well in Google search. Before doing keyword research, determine the goal of your content. That means, you need to make sure whether you’re doing keyword research to increase your conversions or optimizing it for search traffic. That way you will have better odds in getting the exact results you want from keyword research process. Find out the value of every single keyword you find while doing keyword research. This ensures you’re picking only those keywords which are proven to convert and bring maximum value from every visitor you attract to your website. If you want to find out high traffic generating keywords, you can consider scraping keywords from your competitors websites. Also make sure to use Google search suggestions for finding highly relevant keyword ideas to bring more search traffic. Keyword research is one part and optimizing your content properly for search engines is another part. Here’s where most people do it all wrong. They either over optimize their content by repeating the same keyword phrases or don’t properly optimize at all. Also make sure to have the following things in place on your website for better SEO. Submit a Sitemap: Sitemaps tell search engines like Google how many pages of a web site accessible to crawlers and search users. Robots.txt: Robots.txt files control crawler access to certain areas of your site. Use Schema Markup: A schema markup is code that you put within your website to help the search engines find highly informative results for the users. If you want to learn more about how to do proper on page SEO, check out this post. Here’s a list of some of the best OnPage SEO checker tools you can try for better search results. Do you want to know a secret SEO content writing tip to improve your overall website rankings and search traffic in 2019? A topic cluster is a group of interlinked web pages. All the topic clusters are built around one pillar content idea targeting a broad topic which is interlinked to several related pages. Let us explain what topic clusters are in more simple terms. Most bloggers create individual blog posts that rank for specific keywords. Let’s say you want to rank for the keyword best fitness apps, you’ll be creating an exclusive post using “best fitness apps” as a primary keyword, right? What happens when you create multiple blog posts around similar topics? It simply results in your own URLs competing against one another in search engine results page (SERPs) which often can be treated as duplicate content which is not good for your website’s SEO. Here’s where the solution of topic clusters come into play where you pick the broad topics that you want to rank for and then write articles based on specific keywords related to that particular topic (where you link to each other similar contents) to boost your search engine visibility. What did you notice? Using topic clusters, Hubspot was able to organise specific topics surrounded by blog posts related to the topic which connected to other URLs in the cluster through internal linking. Now comes the main question: how to create topic clusters to rank well? Here’s an informative video from Hubspot explaining about topic clusters. To put it simply, a pillar page is generally a long form of content page that is rich in information and highly engaging and covers a broad topic. The cluster content pages usually cover more detailed and specific topics that fall under the umbrella of the pillar page. If you’re still confused, let us take another example of how they work. Have a look at the illustration below for better understanding about topic clusters. What did you notice from the above illustration on topic clusters for better SEO? Workout routines is the pillar content where different clusters are surrounded by it such as workout routines to lose fat, workout routines without weights and so on. Beginner’s Guide to SEO by Moz is the most popular article on SEO which is read by over 3 millions of people worldwide and it’s a perfect example of a topic cluster. Just have a look at the image below. If you look at the above example, you’ll notice that internal links to several pieces of related content targeting narrowly defined subtopics around Moz pillar content i.e SEO. That’s called a solid topic cluster. The great thing about it is, if you read the title of each chapter, you’ll notice each one handles a different piece of one core topic which is related to SEO guide. Many of these sub topics (internal links) also ranks well in Google search. If you’re wondering about how to create topic clusters for effective SEO content writing, here’s a 4 step strategy you can use to rank well in Google search by also giving a better experience to your target audience. If you’re wondering about how to create topic clusters for your own site for effective SEO content writing, follow the 4 steps mentioned below. Pick a highly popular topic in your niche that you want to rank for: Make sure to come up with a broad topic idea that should be specific enough to cover all the different aspects of one pillar page such as fitness, SEO, marketing or any thing that’s a broad topic in your industry. You can use tools like SEMrush, Buzzsumo or even Quora to find highly popular content ideas in your industry. Divide your broad topic into different topic clusters: Once you’re done with the first step, you should also determine your topic clusters which are broad enough to create an in-depth blog post around it. Make sure to come up with at least 8 to 10 topic clusters so you can use them around a solid pillar article to rank high in Google. Perform a content audit to find your most popular content: The best way to divide your topic clusters and to come up with a pillar blog post idea is to do a research on your own blog posts that really performed well in the post so you can internlink and use some of them as topic clusters. Compile them at one place: Once you’re done with all the above steps, create a landing page, use appealing images and curate all your topic clusters at one place (look the above example of Moz SEO guide to get an idea). You’re done! Let us tell you one thing honestly: SEO content writing is not easy. It’s not easy to impress both search engines and people with your content or blog posts. Here’s where you need to think about getting your hands on few essential tools to make the whole SEO content writing process easier. Here are some of the tools for effective SEO content writing. These are also the same tools we use here at Bloggers Passion for content marketing. SEMrush is the only SEO tool we depend heavily upon. It’s the reason why we increased our search traffic and also sales. If you are wondering about why you need SEMrush for effective SEO content writing, here are some of the benefits of using it. Effective Keyword Research: Hands down, keyword research is one of the most powerful features of SEMrush, it is also the reason why millions of people use it for finding better keywords. Apart from finding relevant keywords to increase your search traffic, you can also perform an advanced search to find out keywords used by your competitors. Using SEMrush keyword research, you can easily find the following things. So if you’re looking for a perfect tool for keyword research, SEMrush can be your weapon. Apart from that, here are few more features that make it an incredible SEO tool. Analyzing Your Competitors With Ease: If you want to outrank your competition and get ahead in the SEO game, SEMrush is the perfect choice for you as this tool gives you all the data such as backlink sources, top performing pages, best keywords etc to easily analyse your competitors websites. Site Audits: Using this audit tool, SEMrush allows you to carry out an SEO audit of your site (which gives you a site health score) so that you can spot areas that need to be improved and you can easily fix all the site issues to rank higher in Google search. Link Building Made Easy: Want to build links? Use SEMrush then, building links becomes easier when you use this SEO tool as you can get your hands on all the backlink data of your competitors websites. Organic Research: You can generate an organic research report with this tool when you enter a domain name or keyword phrase as this report will indicate all the essential steps that need to be taken to build a proper SEO strategy and content marketing plan. Social Media Marketing: SEMrush allows you to easily create a social media marketing strategy and gives you access to a ton of features so you can create brand awareness through social media sites like Facebook, twitter and so on. PPC Advertising: PPC or Pay per click advertising can be effectively carried out with the help of SEMrush as it allows you to easily analyse all the top performing of your competitors keywords that your rivals are using for their ads to increase their leads and revenue. We extensively use Quora for 2 major reasons: to come up with new blog post ideas that people are looking for and to write answers on key topics to build more brand exposure. Quora is used by millions of people worldwide so you’ll have a huge scope to express your views about your industry and attract the right kind of visitors to your websites by writing answers on selective topics. You can also link back to your posts which is a great way to build links (although they are of nofollow but they do enhance your website’s backlink profile in the long run). Do you want to optimize your content easily? As we discussed above keyword research is one thing and keyword optimization is another thing. If you’re really concerned about better SEO content writing and properly optimizing it for search traffic, install WordPress SEO plugin. It is the WordPress #1 most downloaded plugin with over 40 million plugin downloads which helps you easily optimize your content for your primary keyword. We’re currently using Yoast SEO premium version on our blog because we know how great the plugin is. Actually the free version of this plugin is more than enough for the beginners but if you want more SEO benefits and to get the most out of Yoast SEO plugin by getting access to few features like content insights, internal link suggestions, social media preview etc, get your hands on their premium version. Here’s the pricing structure of Yoast SEO plugin premium version. Here are few of the major common on page SEO mistakes most people make while creating content for their blogs or websites. Duplicate content in headings: This is not an intentional mistake most people make while writing but most people use similar or repetitive headlines. Do you know the reason? There are millions of blog posts getting published every single day so it’s really hard for anyone to come up with a completely unique headline. That’s why it’s important for you to double check on Google search to see if anyone else is using the same headline copy. Just make sure to add some uniqueness with your headlines so there will be no duplicate content in your H1 tags or titles. Have a look at the illustration below by SEMrush to know more about it. 15% of the information online has duplicate content in H1 and title (so it’s a common on-site SEO mistake most people make). Duplicate content: SEMrush finds that over 50% of the information online has duplicate content issues. Although there are no specific Google penalty for duplicate content but it doesn’t mean you should blatantly copy and paste others stuff on your blog to get more traffic. If you’re a beginner and think that copying others content is fine while doing SEO content writing, you’re not right. It has to be changed and focus on creating your own unique content in order to get higher rankings on Google. H1 tags mistakes: If you’re completely new to SEO, here’s one thing you should remember: use H1 tag only once within your blog post or blog page. Don’t use it for fun or it will affect your search rankings really badly. Use H1 tag only for title tags and for subheadings, you can use H2 or H3 tags any number of times. Missing or duplicate meta descriptions: If you’re using a plugin like Yoast SEO and not using any meta description for your blog posts, it will show you something like; no meta description has been specified, search engines will display copy from the page instead. This is not okay if you want to rank for your pages. If you really want to rank for specific keywords, you need to optimize your meta description properly by keeping your primary keyword in mind. Also makes sure not to copy paste from your own copy or from anywhere else in your meta description. Keeping it unique is the key to better search rankings. Not using links properly: There are two types of links. One is internal links that point to your own blog pages and posts. The other one is external links where link out to other sites. Most people don’t use both of these links properly while doing SEO content writing. The best way to use them is use at least 1 internal ink for every 200 words of your content. Also make sure to use 2 or 3 or more external links to authority sites or pages with highly informative and relevant content. Not optimizing images: As a rule of thumb, use at least 1 image for every blog post or page you create. Make sure to use a keyword in the image alt tag to better optimize for Google search. If you’re using images without using any alt tags, you’re missing out a lot of search visibility. Although it’s not a big deal to skip alt tags, but if you want to better optimize your content, you need it. Do you want us to tell you a secret to write SEO friendly articles that rank well on Google? Analysing your competitors websites is the fastest way to learn how to write SEO articles for more search visibility. Ask yourself these questions to analyse your competitors. What’s the average word count for top 10 pages ranking on Google search for your target keyword? How the top 10 pages are formatted? Do they include long form content with images, videos etc? How relevant and informative the top 10 ranking pages are? Once you’ve the answers to the above questions, here’s a 4 step strategy you can use to perform an in-depth competitor analysis to increase your website’s SEO with your content. That way you’ll know what type of strategies they are using to drive more search traffic and sales to their websites. It won’t take more than a day or two to perform this step, so the sooner you identify your competitors, the better understanding you’ll get about your target audience and market. Start doing competitor analysis and determine their goals to improve your own blog’s content strategy. You can use tools like SEMrush to know your competitors websites strengths and weaknesses. By getting access to the complete backlink profile of your competitors websites, you’ll be able to monitor where their authority links are coming from. That way you can also use various tactics like guest posting, blogger outreach, broken link building etc to get links from those sites to improve your overall website’s backlink profile. The final step is to fill the gaps with your content. If your competitors are ranking in #1 spot for a highly potential keyword with generic or low quality content, you can work on a similar topic and make it really informative and highly engaging and use tactics like the skyscraper technique to get ahead in search results. Pro tip: Make sure to do the backlink gap competitor analysis which makes it easier for you to find out a list of all the websites that are linking to your competitors but not your website. That way you can create a list of websites that you can possibly get a backlink from or create content for (using techniques like skyscraper technique). If you want to find out some of the most effective SEO content writing tips that we personally implement here at Bloggers Passion, here are 3 of them. Make sure to go through each one of them as we discussed about each of them in detail. When coming up with new blog post ideas, most people don’t think about what their target audience truly wants. They either look for those keywords with less keyword search volume or low competition and completely ignore the search users intent. What is search intent anyway and why is it so important when it comes to SEO content writing? Search intent focuses on the search users’ needs. It is the reason behind a searcher’s query on search engines like Google. To put it simply, search intent represents the objective of the search user and to find out what he is trying to accomplish with the search term. Here’s a great example to know about the users search intent for the keyword “buy backlinks”. From the above image, you can clearly understand that Google is showing various search intent keywords which include informational and transactional keywords. Ultimately Google gives top rankings for those pages where people are clicking most. In the above case, people are looking more for informational content for the keyword “buy backlinks”. Once you understand the above concept, you can easily find out what your target audience are looking for so you can create appropriate content for them and get better search rankings. Whenever we’re creating content for Bloggers Passion, we always target 1 or 2 long tail keywords that match the searchers intent that we talked about in the first step above. The most important thing you need to know in SEO content writing is that, optimization is not about finding a primary keyword and stuffing into your blog posts. It’s rather all about finding highly relevant long tail keywords (also known as LSI keywords) and integrating them nicely within your content. That way you can not only rank for your primary keyword but you can also bring more search engine visitors to your sites for multiple keywords. Long tail keywords are generally longer and often question-based keywords that satisfy your target audience wants and needs. The simplest way to find long tail LSI keywords is to use Google auto suggestion tool and try to come up with 1 or 2 highly relevant keywords you can use within your content. Here’s an image of Google autocomplete which helps you easily find 1 or 2 long tail keywords to rank well in Google. Once you’re done with the above two important steps, it’s time for you to integrate your preferred keywords (both primary keyword and long tail keywords) within your content. Why? Because if you want to make your content rank in Google search, you need to optimize it properly. That’s where your SEO content writing skills will show up. You don’t have to stuff your desired keywords though but make sure you’re integrating them naturally within your title tags, meta description, image alt tags, URL and throughout the content to let search engines crawlers to easily rank your content for various keywords. Just remember that you’re writing for humans, not search engines. So focus on engaging your website readers with a natural writing style by using your selected keywords naturally. Whether you know it or not, Google puts a search result in the #1 spot on search by determining the quality of the backlinks it has. That means, if you’re trying to rank #1 for a potential keyword or topic, you can get those rankings by attracting as many quality links from other sites as possible. Google gives top priority to the web pages with more links. So if you really want to increase your organic traffic with your content, don’t forget the importance of attracting links from other sites. Below is an illustration that tells you the importance of backlinks to get higher rankings on Google search with your content. What did you understand from the above illustration? The above illustration is a case study done by searchmetrics which tells you the most common ranking factors used by Google to determine the ranking of web pages where you’ll notice that backlinks impact search results to a great extent. That being said, there are several types of backlinks which you should know about. Informational backlinks: As the name suggests, these are the backlinks that provide useful and more information on the words linked within the text. Wikipedia is a better example for this type of links. Definitional backlinks: These are the backlinks which provide more elaborated and extended definition to the linked words of your content. Thesaurus is a classic example for this which provides you reference work that lists words grouped together according to similarity of meaning. Referential backlinks: These are the links where a web page is linked for source citation purpose. The Skyscraper technique is a great example for this type of links. Promotional backlinks:These are the most commonly used backlinks where you can acquire links from guest posts, forums, Q & A platforms etc. You should always target #2 and #3 type of backlinks which are mentioned above if you want to get better rankings to your content. Pro tip: Make sure to find out the DA of a site to attract quality links. Domain Authority (DA) is a search engine ranking score developed by Moz that tells you how well a website will rank on search engine result pages (SERPs). A DA score ranges from 1 to 100, with higher scores corresponding to a greater ability to rank. That means, you should aim to get links from higher DA sites (preferably with DA 40+). We have recently written an interesting SEO case study where you’ll discover the importance of Google search rankings along with other details like how long does it take to rank for a keyword on Google. It’s a great case study which is really useful for anyone who wants to know how to get better rankings on Google. It doesn’t matter what industry you are in, if you want to get higher ranking on Google, you need to learn and practice the right SEO content writing tips. Hopefully the SEO content writing tips and techniques mentioned above can be useful for you to create great content for your target audience. Do you have any questions related to creating content both for search engines and people? Share your thoughts in the comments below. All points mentioned here are fantastic! Thank you for such an informative article. I have to say that my favorite is #7 because it has worked so well for me. When we get real people from real sites for backlinks, it works out so well. Hi Donna, glad you liked the SEO techniques mentioned here. It doesn’t matter what kind of topics you write, if you really want to get more traffic from search engines, you must learn the art of SEO copywriting. You should know how to optimize for both Google and readers for better results. Thanks for stopping by! 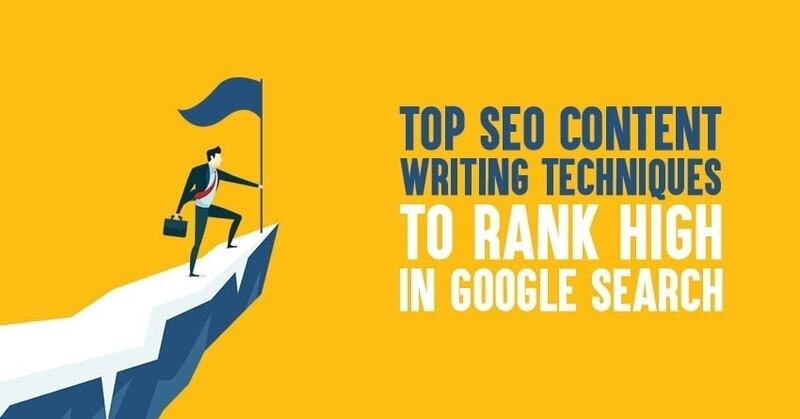 Your seo content writing technique I must say is super duper good. Following this list, you can rank for a less competitive keyword in less thank a week. Very helpful post, as this post covers many points to increase the website traffic. Awesome tips , SEO is very important for Increase the visibility of our sites, thank you for sharing the post. Thanks to Anil for great post. I followed your suggestion and writing unique content and get traffic on sites. Wow that a lot of great blogs and i also appreciate your content. Specialty I will admonish you to focus on your content for SEO. Wow This is best seo content writing technique and tips. i read this post and follow your best tips. You have covered all the points, including “Yoast seo”,Thanks to Anil for great job. i read this post very slowly,i have some query regarding long tail keyword and short tail keyword can you please provide some tips about them. You wrote a great content on Yoast SEO, and this is very helpful for me to make my post SEO good. This article makes me understand the proper meaning of seo and how it is important for post to rank on google. Thanks for this great list of bloggers. I am reading bloggers passion blogs from last 2 month, I receive very important information regarding how to increase traffic on website & online marketing from Blogger Passion website and I learn a lot of things from bloggerspassion.com. This is an awesome post for content writing. But I want to ask a question that one of my keywords ranks on google 1st page. But after 2 days it gets removed. WHy this has happened?? Hi Manoj, keyword ranking changes due to Google algorithms. You didn’t say what type of contents you’re targeting, if they are trending keywords, you’ll see a lot of fluctuations (unless you’ve an authority site). Make sure to keep an eye on your rankings, build links and do proper on page optimization to sustain rankings.